HJR1018 - To Continue a Levy of One-Half Percent Sales and Use Tax for the State's Highway System, County Roads, and City Streets. SJR15 - The Arkansas Term Limits Amendment. 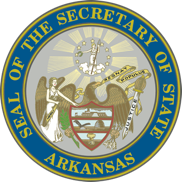 HJR1008 - An Amendment to the Arkansas Constitution to Amend the Process for the Submission and Approval of Proposed Initiated Acts, Constitutional Amendments, and Referenda. Arkansas Term Limits Amendment - Arkansas Term Limits, BQC, 501-590-8260. In compliance with Act 376 of 2019, the sponsor/s above have filed the original draft of the petition with the Secretary of State. This list of proposed ballot measures does not indicate that a petition is being actively circulated. For more information about a proposed measure, please contact the sponsor.